Without giving away too much just yet, I can say the story will be illustrated by the incredible artist Bachan, and focuses on two fan-favorite characters. We'll be in the back of each issue, spanning twelve comics, telling a big, crazy, complete story. I'm already having an absolute blast working on this, and can't wait for you to see what we're cooking up. Big thanks and gratitude to Boom! 's killer MMPR team, including Dafna Pleban, Alex Galer, and Matt Levine, for this awesome opportunity. 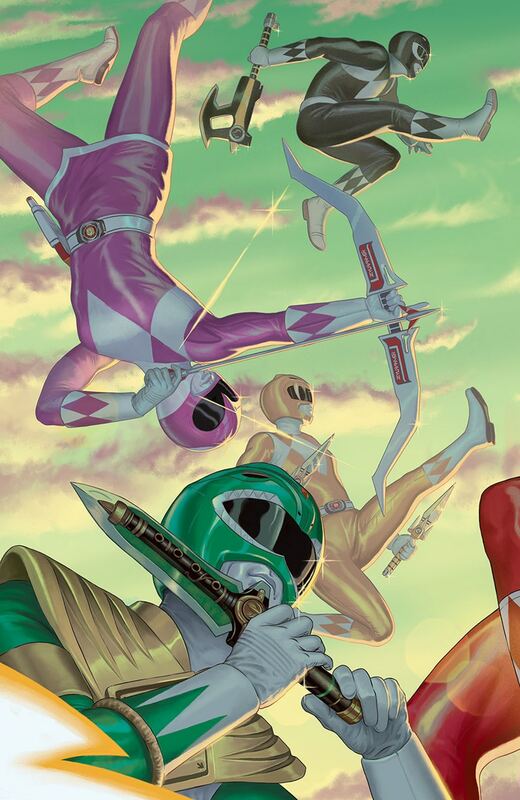 Check it out in Mighty Morphin Power Rangers #13, this coming March, and check out those amazing covers by Jamal Campbell and Steve Morris!